Eataly puts the real Genovese pesto on your table, made according to the antique Ligurian tradition. To make this famous sauce, Italpesto uses the best ingredients from the region: delicious Genovese Basil Dop, high-quality, cold pressed extra virgin olive oil, Parmigiano Reggiano Dop, Pecorino Dop, crispy Italian pine nuts , walnuts, garlic and a bit of salt. Fresh with an intense aroma, this pesto is perfect on traditional trofie, gnocchi and trenette. Ingredients Genovese basil D.O.P. in Extra virgin olive oil (Genovese basil D.O.P. 58%, Extra virgin olive oil, Salt, Antioxidant: ascorbic acid, Preservative: sorbic acid), Extra virgin olive oil 28%, Parmigiano Reggiano D.O.P. (milk, salt, rennet), Walnuts, Pecorin For more information on product labels, please contact our Customer Service department. The information on the labels of the products may vary for reasons beyond our control, therefore, there may be discrepancies between the information on the site and that on the products delivered. Please always check the information on the product before consumption or use. 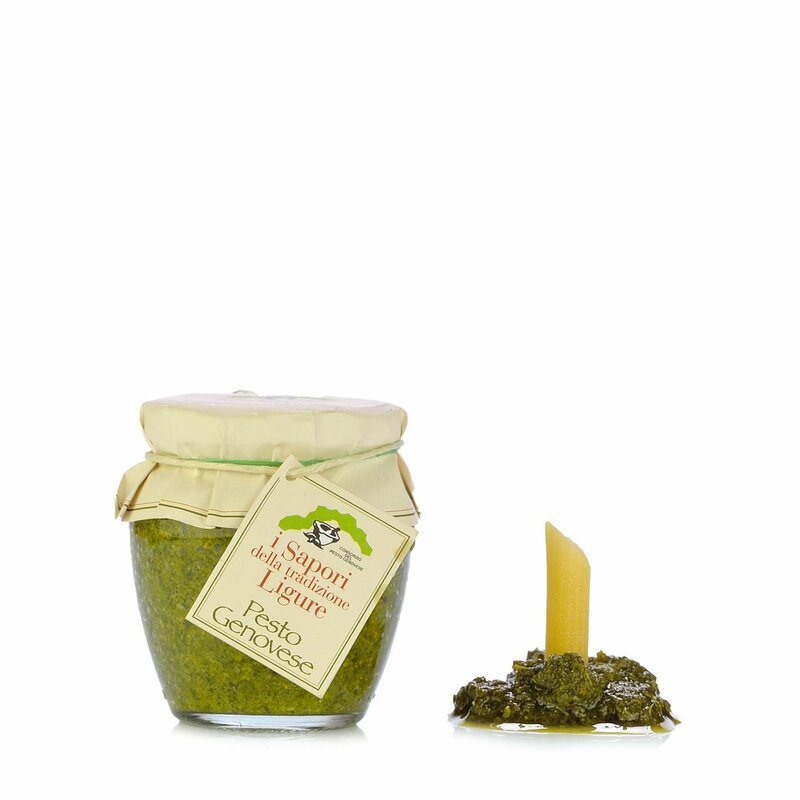 In the heart of the Ligurian inlands, in Sarzana in the valley of the Magra riger (SP), Italpesto has been producing this delicious Ligurian pesto for more than twenty years according to the ancient recipe, combining also other regional specialties. Experience, artisan preparation, constant and continuous control of the production chain in order to follow the preparation of a product from the field to the table: these are the important aspects of a company that truly knows how to reinterpret the gastronomic culture of Liguria. Constant attention is played in particular to the Ligurian basil in order to optimise its cultivation and processing. Thanks to these methods, the freshness and goodness of traditional pesto are always ready to be served at your home.